7:00pm ET: Projections update for today will hit between 8-830am tonight. I'll post when they are posted. 6:17pm ET: Keep a deep-deep roster eye on the Patriots signing WR Nelson Spruce -- that's a legit Amendola replacement. 3:11pm ET: Note on the Patriots injuries...banged up players Rex Burkhead, Danny Amendola, and Gronk could play limited time if active this week. The Patriots will likely dismatle the Texans this week...so, why add problems that don't need to be. If Amendola is active, I bet he plays a half or half the snaps. 3:10pm ET: Tyler Eifert is about 40-50% likely to play this week. If so, C.J. Uzomah gets the start it looks like. He's a Hail Mary TE2 deep sleeper...especially if Eifert goes into hiding with injury for several weeks. 12:12pm ET: The Bears cut UDFA WR Tanner Gentry...I 50-50 bet someone grabs him off waivers...maybe Green Bay. 12:10pm ET: Dallas now adds Damontre Moore of two-game suspension to their suddenly talented D-Line. They face, maybe the worst offense in the NFL this week -- Arizona. 11:33am ET: Ravens DT Brandon Williams is out with a foot injury...that's a huge piece of news for the Ravens D-Line. Good news for Leonard Fournette this week. 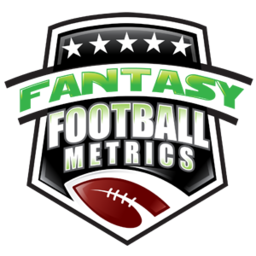 -- Week 3 projections update today will hit around 7-8pmET. 3-4 game recaps/analysis today. It will be a focus on Trevor Siemian, Dak Prescott and Tarik Cohen early in the day to give you more context on their value, etc. Notes will hit here throughout the day, see ever-changing time in the title for when we posted the latest note.